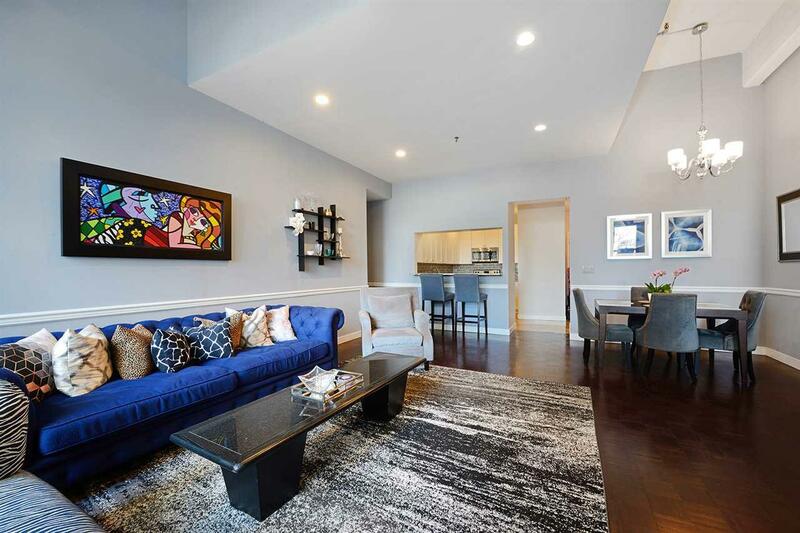 Experience luxurious city living at its finest! 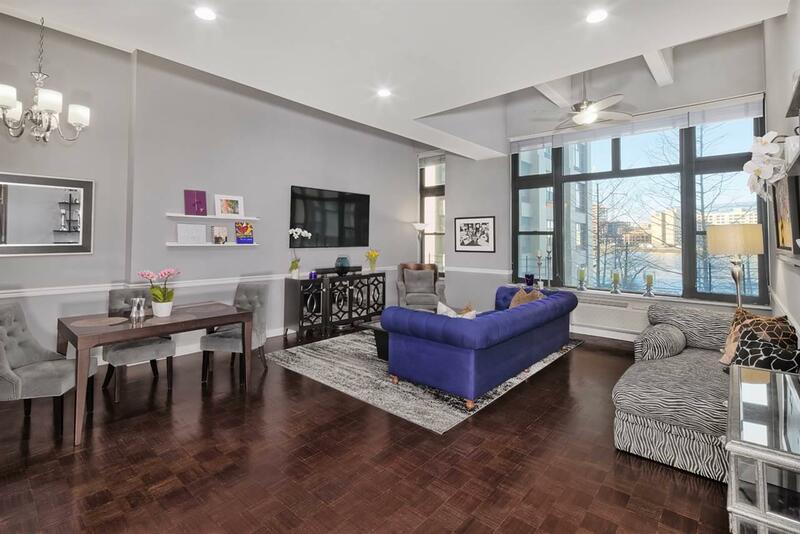 Introducing 1500 Hudson Street 2V, a beautiful, oversized, 1320 square foot two bedroom, two bathroom condo, with designated covered parking spot and water views in Uptown Hoboken at the highly coveted Hudson Tea Building. 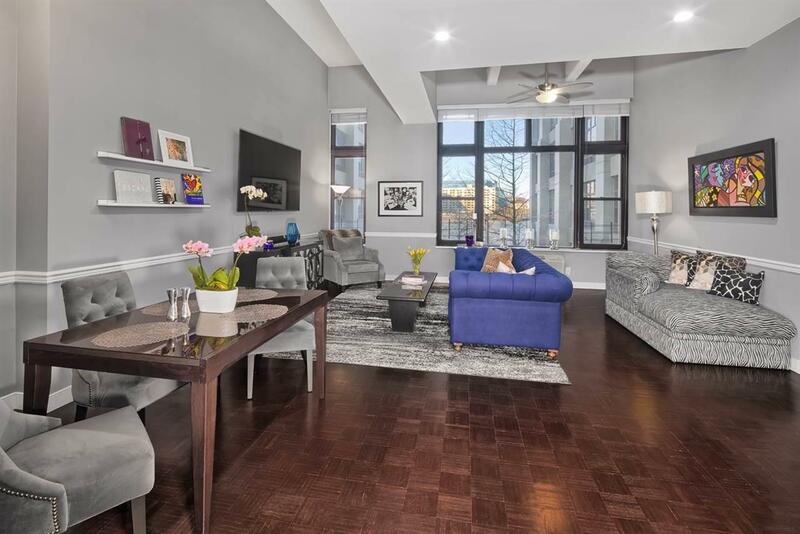 Most notable and setting itself apart from others, this two bedroom can be easily converted into a three bedroom and includes a designated parking spot. This unit also features: sprawling 13 foot ceilings, oversized 10 foot picture windows with water views, modern updated kitchen with granite counter tops and new stainless steel appliances, king-sized master bedroom with walk-in closet and ensuite bathroom, updated floors, brand new washer/dryer, ample walk-in closet space throughout, ceiling fans and custom blinds. Enjoy waterfront living and all the modern-day conveniences you need. The Hudson Tea Building offers a 24-hour concierge, 3,000 sq. 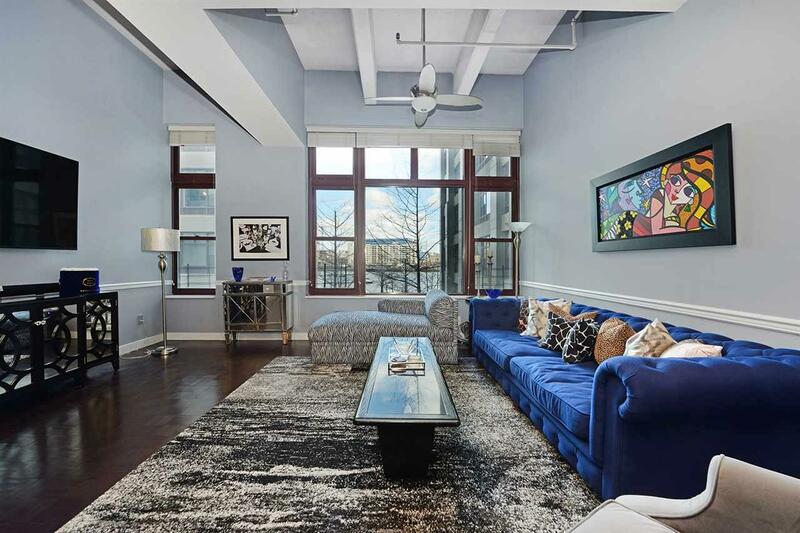 ft on-site fitness center (including Peloton bikes and daily yoga/fitness classes), residents lounge with spectacular NYC and water views, oversized playroom for children, on-site management office, dry cleaners, caf' and more! The Hudson Tea building is within walking distance to some of Hoboken's finest restaurants, grocery stores, and parks. Commuting to NYC has never been easier with daily shuttle service to the Path and just blocks from NY Waterways 14th Street Ferry and bus service to Manhattan. As an added bonus, common spaces, including lobby, hallways, and lounge are to be renovated in 2019. Inclusions All Appliances And Light Fixtures. 1 Assigned Covered Parking Spot.